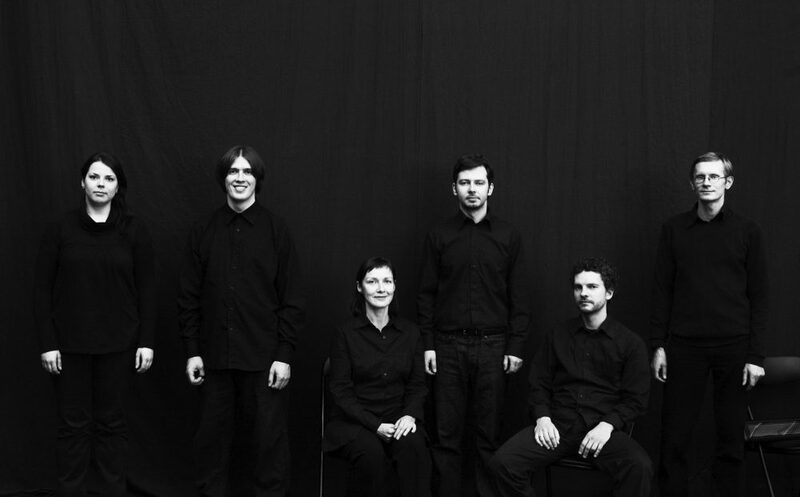 Ensemble U: is currently the most active and renowned contemporary music ensemble in Estonia. It has gained recognition for its ability to perform even the most demanding works without conductor, openness for bold experimental ideas and sensitivity for sound. In addition to Estonia U: has performed at many important international festivals. U: performs the masterworks of modern composers as well as experimental compositions. One distinct field for U: is to delve into improvisational works and perform pieces that require the rendering of non-traditional notation. The repertoire includes authors from Estonia and abroad and the ensemble values the opportunity to continuously commission new music to be written for them. In April 2009 ensemble U: released their first album “U:” consisting of works by Estonian composers dedicated to U: between 2004–2009. The CD’s presentation took place in a ‘double reality’ – a virtual concert in the Estonian Virtual Embassy in Second Life, simultaneous with the live presentation, was the first of its kind in Estonia. The second album “Protuberances” was released two years later, 2011. Ensemble’s third CD, entitled “Alive” (2015) holds exclusively selected live recordings from 2012–2014. In recent years U: has gained recognition for its original interactive project “Audience orchestra”. In the field of musical theatre Ensemble U: has worked with Mart Kangro, one of the internationally most renowned conceptual dance choreographers in Estonia, for several times. Performances “Play” (2006), “Romeo & Juliet” (2008) and “Harmony” (2009) have stemmed from this collaboration. Mart Kangro is a freelance choreographer, director and dancer. In his works, he focuses on the meaningfulness of the human body and movement in theatre as semiotic space-time, and on existential issues of stage situation. His productions, of which many have come about in the Kanuti Gildi SAAL, have been performed at major festivals in more than 20 countries across Europe (Kunstenfestivaldesarts in Brussels, Steirischer Herbst in Graz, Foreign Affairs and Tanz im August in Berlin, Helsinki Festival in Helsinki, Fringe Festival in Dublin, La Bâtie in Geneva, Internationale Keuze in Rotterdam, Golden Mask in Moscow, Aerowaves in London, Lignes de Corps in Valenciennes, and more. In recent years, he has produced works where he himself is not cast (Theatre NO99 and Von Krahl Theatre, as well as in Moscow). Kangro has won many awards and other recognition for his work, both in and outside Estonia.